In the last few years, a wave of ‘reforms’ within the European Union and throughout the world has subjected Higher Education to the logic of the market. Higher Education has increasingly been transformed from a public good and a civil right to a commodity for the wealthy. The self-government of Universities and the autonomy of academic processes are also being eroded. The processes of knowledge production and acquisition, as well as the working conditions of the academic community, are now governed by the principles of the private sector, from which Universities are obliged to seek funds. Greece is possibly the only European Union country where attempts to implement these ‘reforms’ have so far failed. 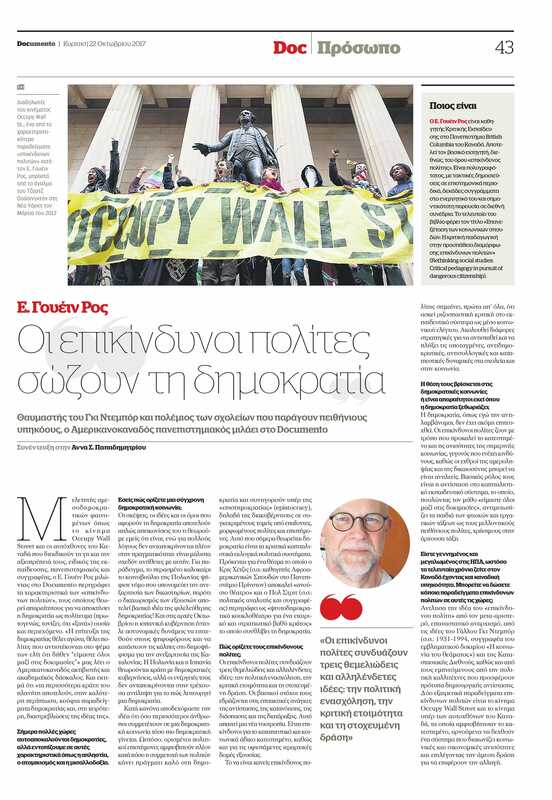 Important factors in this failure are the intense opposition of Greek society as well as the Greek Constitution, according to which Higher Education is provided exclusively by public, fully self-governed and state-funded institutions. According to the existing institutional framework for the functioning of Universities, itself the result of academic and student struggles before and after the military dictatorship (1967-1974), universities govern themselves through bodies elected by the academic community. 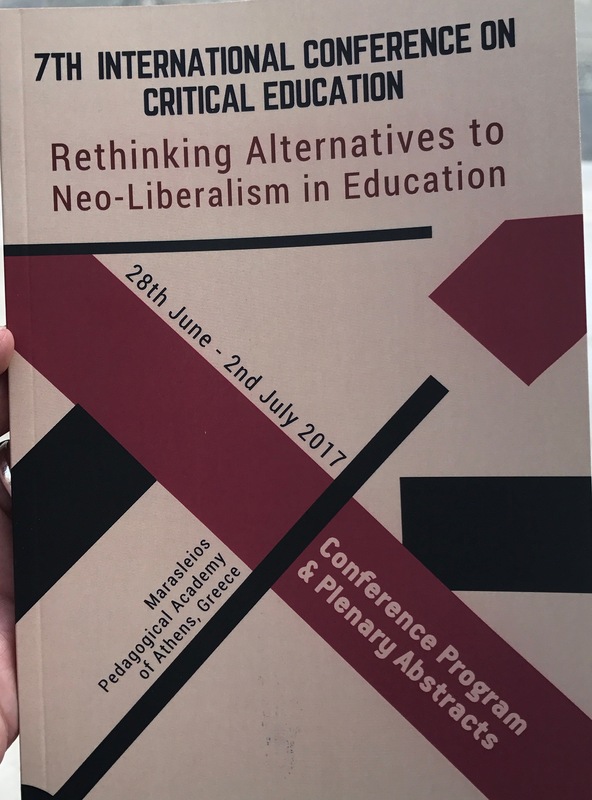 Although this institutional framework has contributed enormously to the development of Higher Education in Greece, insufficient funding and suffocating state control, as well as certain unlawful and unprofessional practices by the academic community, have rendered Higher Education reform necessary. The current government has now hastily attempted a radical reform of Higher Education. On the pretext of the improvement of the ‘quality of education’ and its harmonization with ‘international academic standards’, the government is promoting the principles of ‘reciprocity’ in Higher Education. At the same time, it is drastically decreasing public funding for education (up to 50% decrease) which is already amongst the lowest in the European Union. New appointments of teaching staff will follow a ratio 1:10 to the retirement of existing staff members. This will have devastating results in the academic teaching process as well as in the progress of scientific knowledge. The government proposals seek to bypass the constitutional obligations of the state towards public Universities and abolish their academic character. The self-government of Universities will be circumvented, with the current elected governing bodies replaced by appointed ‘Councils’ who will not be accountable to the academic community. The future of Universities located on the periphery, as well as of University departments dedicated to ‘non-commercial’ scientific fields, looks gloomy. Academic staff will no longer be regarded as public functionaries. The existing national payscale is to be abolished and replaced by individualized, ‘productivity’ related payscales, while insecure employment is to become the norm for lower rank employees. Higher Education will be transformed into ‘training’ and, along with research, gradually submitted to market forces. The government proposals have been rejected by the Greek academic community. The Council of Vice-Chancellors and the Senates of almost all Universities have publicly called the government to withdraw the proposals and have suggested alternative proposals which can more effectively deal with the problems of Greek Universities. Despite this, the government proceeds with promoting its proposals, in confrontation with the entire academic community. We appeal to our colleagues from the international academic community, who have experienced the consequences of similar reforms, to support us in our struggle to defend education as a public good. We fight, together with our British, French, Dutch, Italian, Spanish and other colleagues, for the respect of the academic tradition of the European universitas in current conditions. We ask you to send electronically the appeal below, signed with your name and indicating your academic status and institutional affiliation, to the Initiative of Greek Academics (europeanuniversitas1@gmail.com). The support of the international academic community will prove invaluable for the upcoming developments not only in Greek Universities but in respect to European Higher Education as a whole. We, the undersigned, express our support for Greek academics who oppose the Higher Education reform proposed by the government, which hinders the research and teaching potential of Greek Universities. Any process aiming to improve the institutional frame of Higher Education has to decisively take into account the positions of the academic community. We understand that the vast majority of the Senates of Greek Universities, the Council of Vice-Chancellors of Greek Universities, as well as the local organisations of University teachers have publicly expressed their opposition to government proposals. (b) to start a real dialogue with the Senates of Universities aiming towards an institutional frame that will safeguard the constitutionally protected self-government of Universities and the public funding of Higher Education, and will respect the principles of European academic traditions regarding the public functioning of Universities.